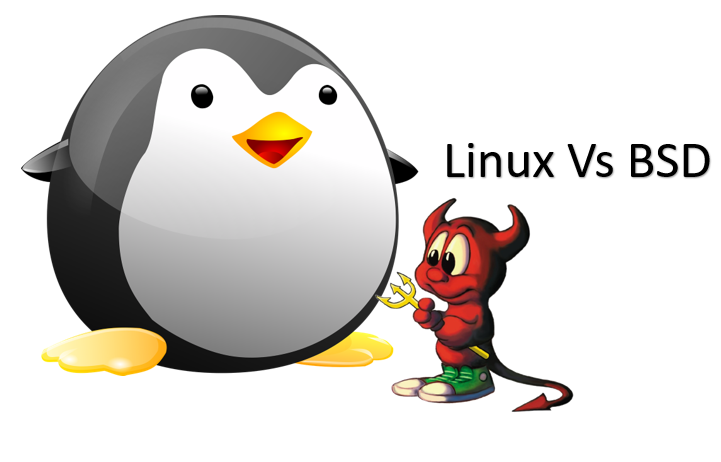 Linux vs BSD: Two operating systems with small names but a lot to discover, that’s we called a power of open sources. Microsoft Windows is so popular and widespread that it doesn’t require any kind of introduction. We all, or majority use it to carry out simple to complex everyday activities. The same goes for Linux, even though the majority doesn’t use it for the apparent complexity which though is based on one’s exposure to the world of computing. Linux is popular among a big class of users who are into development or is a big fan of open source elements, which Linux is, as well. Long story short, almost everybody in the 21st century knows about Windows and Linux, even if they haven’t used one of them ever in their lifetime. Well, the world of operating systems isn’t that tiny. There is yet another class of operating system, which most users don’t know about, or haven’t used it ever in their life. It is BSD. BSDs are yet another class of operating system which is also popular among some individual users, or some organizations with some unified goal. 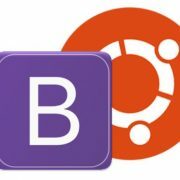 If we keep the scene of Windows out of the picture, for now, most users might consider BSD and Linux to be quite similar, with some small differences, or do not have any conception about BSD altogether. And if you are on the verge of installing a new operating system on your computer, which is going to be better for you! We will find everything in this article. Talking about Linux, which has more fans than that of BSD or Berkeley Software Distribution, Linux is just a kernel, which is the core of any operating system you will come across. Kernel actually lies between the software and the hardware and it helps the user take the advantage of the software and the hardware resources available within a system. It is on the top of the kernel that the operating system is built. If you plan to install Linux onto your system, you actually install a distribution of Linux, which is built using the Linux kernel and then adding different kinds of programs on top of it by the developers of the distribution. 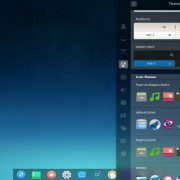 There are a plethora of Linux distributions, you might already know about, like Ubuntu, Fedora, Linux Mint, Redhat, OpenSUSE, and many others. The core or kernel of the operating system though is always the same, which is the Linux kernel. BSD, on the other hand, is a complete operating, rather than being the only kernel. The BSD developers use the BSD kernel as the core of the operating system, add different kinds of programs to it and make it available for the users in whole. So a BSD OS is the BSD kernel plus the programs that are available in one single package. While Linux is just the kernel, and the developers of Ubuntu, Redhat, etc. use that kernel and embed different kinds of programs to it before making it available in the market. It is the reason, why different Linux distributions come with different set of programs, and repositories, where you can download different other programs as per your requirements. That was the basic difference, but there are other differences, as well, which we will discuss one by one. Licensing is an important aspect of software distribution, which is quite different in the case of both Linux and BSD. Licensing being different for Linux and BSD, the software development scenario and the popularity among users vary widely for these two operating systems. Linux comes under the GNU Public License or GPL, which means, the developers can always develop the Linux kernel, modify it or add new features to it, but there is a catch. The developers will always have to release the source code for the newly designed kernel, even if they don’t want to. The GNU Public License or GPL license ensures that the source code of the projects always is always open for further development purposes, and thus, Linux is not an exception to that, as well. The scenario is different in the case of BSD. BSD comes under its unique BSD license, which makes it kind of open-source or closed-source, completely dependent on the developer or the way you look at it. If you want to develop something new, using BSD, you are free to not release the source code for it. Thus, you might call it open-source of closed-source depending upon how the developers treat it, however, it doesn’t have a GNU Public License like Linux. This is an important point, where you might consider Linux to be the winner. 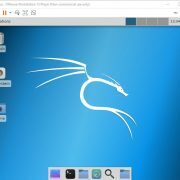 There are hundreds of Linux distributions available out there, for a different class of users with a different set of requirements. If you are a fan of MacOS, you can try out Ubuntu, which offers an interface close to that of MacOS. You can use Linux Mint, if you are familiar with Windows and so on. Redhat is there for enterprise users, and you can find hundreds of other options to choose the appropriate one for yourself. While on the other hand, BSD revolves around mainly 3 versions, i.e. the FreeBSD, NetBSD, and OpenBSD. The FreeBSD is meant for high-performance systems based on AMD or Intel 32-bit or 64-bit based architectures. NetBSD, on the other hand, is meant for systems with low hardware resources, and that is why its motto is ‘Of course it runs NetBSD’. OpenBSD is used by users looking for better security. There are other BSD versions as well, and DragonFly BSD and the highly popular Mac OS X, formerly Darwin are examples of BSD. Mac OS X is an example of closed source BSD, which most users use regularly on their Apple systems. The MacOS developers built their OS on top of BSD to be free from the hassles of writing low-level machine codes, which is the base of any operating system. Availability and compatibility with modern software are one of the elementary things, which has a direct influence on the popularity and adaptability of an operating system among the users. Talking about Linux, which is open-source, it is easy for the developers to write codes and make it available for the users in form of pre-compiled binary packages that can be installed using apt, yum and other similar package managers. It is easily possible because of the open-source nature of Linux. While for BSD, the users have to download the source codes for the programs from almost thousands of ports available. After downloading the source codes, the users will have to compile them to use them on their system. The extra hassle of compiling the source codes is one of the reasons behind its lack of popularity among general users. Though pre-compiled binary packages that are run using pkg has also taken a pace to eradicate the hassle of compiling the source codes. But still, Linux based operating systems is a clear winner for the availability of applications programs, even though the BSD developers have long back introduced a Linux compatibility package to run Linux applications on BSD. Got a brand new graphics chip and is looking for its drivers! There isn’t any doubt, you can easily get the Windows drivers. But talking about drivers for Linux and BSD, none of them is as good as Windows or other proprietary operating systems to offer support for the latest hardware. But for Linux based operating systems, the problems are kind of address for its great support from different hardware vendors in recent times. BSD still lags behind in the scene of hardware compatibility, which is yet another reason why it is not that popular among general users. After reading all that, I think you have already taken your decision about which operating to go for if you don’t want to go for Windows operating system. If you aren’t that tech savvy and don’t want to go through so-called numerous hassles to install the simplest programs, I will recommend you to go for a Linux distribution, as Linux is less a kernel or operating system, but a community, which is always willing to help you. There is a wide range of distributions you can choose from, unlike BSD. 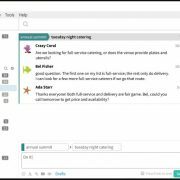 And yes, good hardware support and the availability of different kinds of programs for a different niche of tasks will help you get the most out of your system. While for BSD, the scenario is not that satisfying for normal users for lack of proper hardware support and the unavailability of applications. But BSD is a great choice for use on embedded systems and networks for its lower hardware requirements. The availability of the compatibility package to run Linux applications can help the users to get most of their job done, and thus, BSD isn’t that disappointing, as well. Happy computing with Linux or BSD. Hope the information was helpful for you. Have anything to add? Feel free to comment it down below.